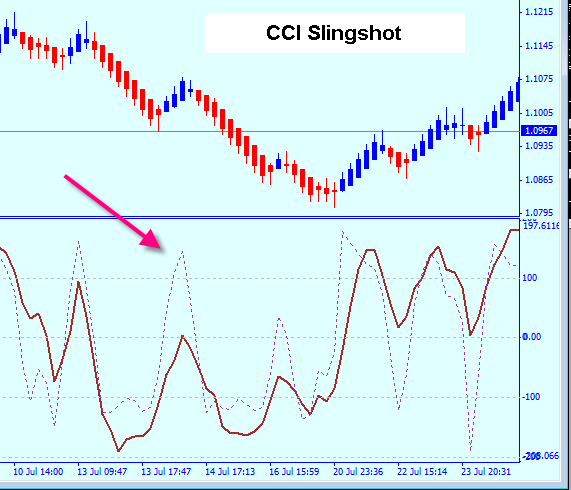 I want to demonstrate the CCI Slingshot as a Renko Trading Strategy that can be employed on a daily basis on most charts. Note that in this example the CCI 14 has approached the 0 line before easing back while the CCI6 has approached the 100 level. It has to be this way, if the CCI6 does not get high enough the trade could be a bad entry causing a loss. This pattern is actually a divergence between the two indicators. 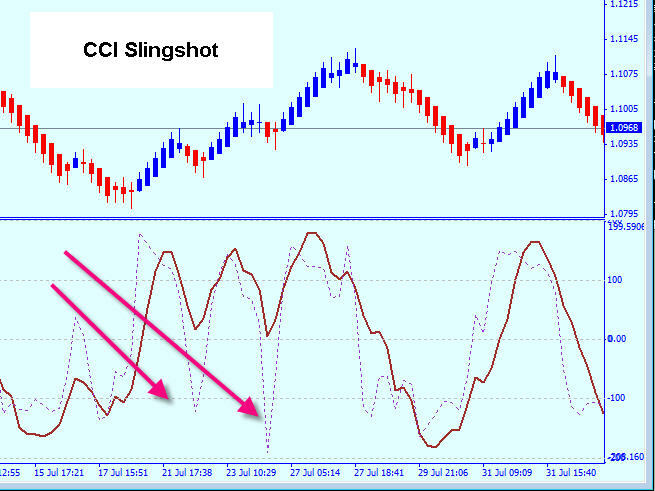 You can see that the CCI Slingshot is actually a continuation move on the trend. This entry can be used to initiate a trade or to add to a position. Again, all that is needed for this is two CCI indicators overlaied in a lower chart. This Renko chart has 20 pip bars, you can see that the slingshot entries can be quite lucrative. Of course it takes practice to see these patterns on the indicator, all entries must be 'With trend'. If you have been looking at the posts about the Renko charts on this blog you are seeing how simple it can be to trade with Renko Bars. There are several other Renko Trading Strategies on this blog, hopefully you will have a chance to examine those. Chinese Yuan – What Has Happened? A Look At Interest Rates As At August 8, 2015. Is Your Broker Safe From Identity Theft Attacks?